A plush elephant or rattle used to be enough to amuse an infant, but in today’s tech-driven world, that won’t work unless the toy is equipped with a touch screen. Infants are now so accustomed to touch screens on smartphones and tablets that they get confused by tactile print publications. If you want to provide your kid with the best gadgets and gizmos available, here are the top six technologies for babies. 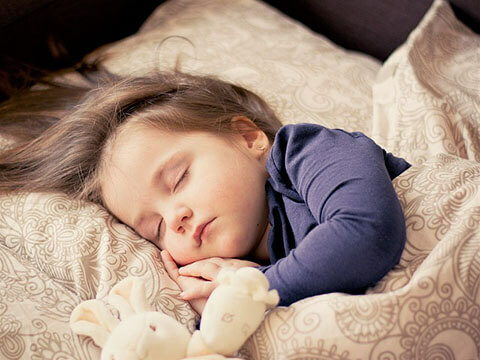 This device, unveiled at CES 2013, enables a toddler to play on a built-in iPad dock while they wait for nature to call. The interactive device is equipped with a colorful toddler-sized toilet and adjustable stands that hold and protect your iPod while the child plays and the clear touch screen protector guards the tablet against any smudges that may ensue from dirty hands. The Bambino Wireless Internet Baby Monitor allows you to keep up with your infant’s every move while you’re away from home. The video stream feeds through the company’s website and you can customize your account to allow specific users to view the video stream. Also keep tabs on Baby while on the go with the Seedonk mobile app. Teach Junior to start appreciating good music from the get-go with a baby-friendly MP3 player. Whether it’s playtime or time for bed, this nursery music player includes unique features such as 50 preloaded songs and sounds and the ability to allow you to record your own voice for special messages. With this high-tech pram, you can open and close it autonomously with a simple touch of a button. The stroller features an LCD dashboard with cartoon graphics to keep your child entertained and daytime running lights that illuminate the underbelly of the stroller in dim places. Best of all, the 4moms Origami Power-Folding stroller also self-charges, so it’s always ready to go. These convenient self-warming bottles guarantee that a baby’s milk is warmed to the recommended feeding temperatures in about four minutes. The heat is powered by the rehydration of salt inside the BPA-free nursing bottle. This educational toy is designed for kids 18 months to three years and includes four brightly colored shapes that interact directly with three free different iPad apps. The game helps your child to develop their fine motor-skills and critical thinking. When it comes to technology, there are numerous products offered for your baby’s enjoyment, education and wellbeing. These six aforementioned products will keep your tyke safe and sound while assisting them in growing their imagination and developmental skills.